On Friday April 13 join Clear Water Comedy for a town hall assembly like none other. 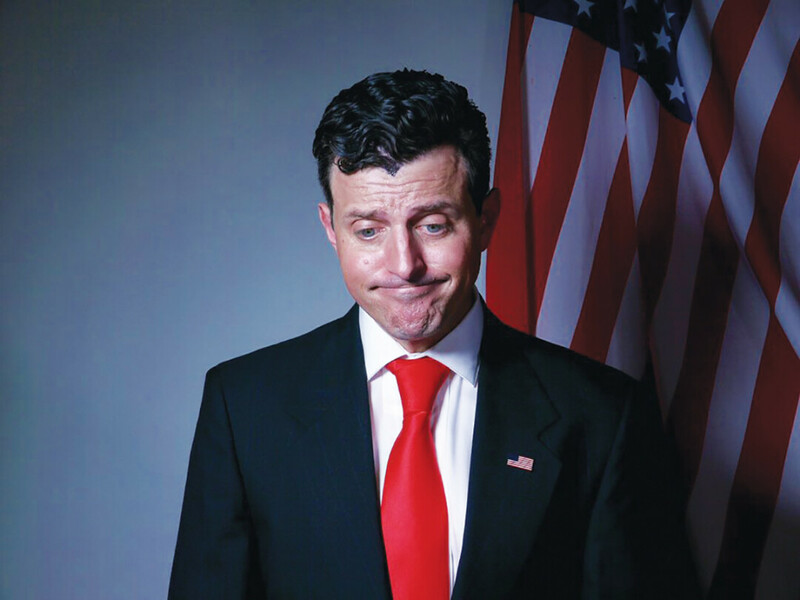 Internationally touring comedian Chris Fairbanks uses his quick wit and quirky improvisations to parody a town hall meeting starring as none other than Wisconsin’s own Paul Ryan. Unsure about the condition of The GOP? Curious about the current state of the Union? Nervous about Russian spies living among us? Come ready to pester the Speaker of the House with every question, comment, and concern from sea to shining sea. This evening of comedy will begin with standup from Andie Main, then Fairbanks will take the stage and transport his audience to the congressional chambers in Washington, D.C.
Fairbanks maintains an extensive and hectic comedy career. He worked as a director and cast member for TruTV’s World’s Dumbest and the host of Almost Genius among others. This year will bring appearances on HBO’s Crashing, Amazon’s One Mississippi, and Comedy Central’s series Corporate. He was featured on Comedy Central, Conan, Last Comic Standing, Jimmy Kimmel Live, and Seeso. Fairbanks balances his full comedy schedule with a career as a freelance artist, working on magazine illustrations, skateboards, and album covers. Tickets are available for purchase through Volume One’s new ticketing platform or in-person at The Plus. Seating is first come, first served; the doors open at 7pm.